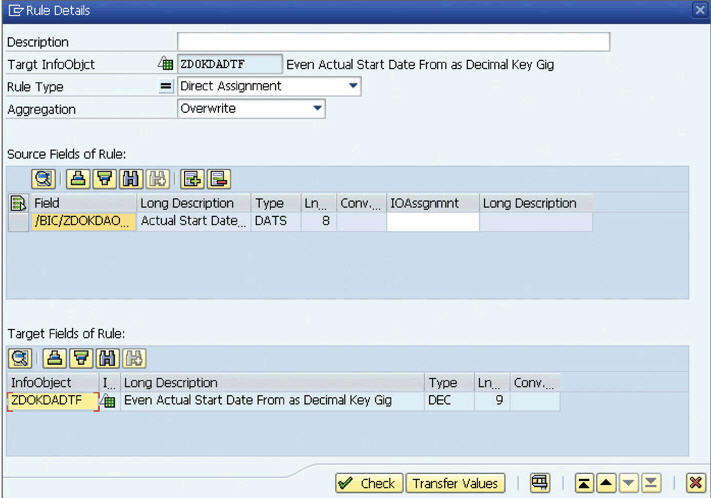 SAP BW Tutorial – Typically, SAP Netweaver BW Systems, the date and time fields are modeled using standard Info Objects 0DATE and 0TIME, those infoObjects are treated as characteristics, but some reporting scenarios require calculations based on date and time fields, but the problem is 0DATE and 0TIME characteristics do not provide that kind of functionality. You can implement thats scenario based on this guideline, Let’s assume that we have 4 date and time fields available in DSO, We’ll show you how to store them as key figures, which can be used to created restricted key figures using date and time fields stored as key figures. Go to RSA1 transaction code and create 2 new key figures, Event actual start date from as decimal key fig and event actual end date as decimal key figure with TYPE/DATA TYPE as Date and DATA Type as DEC – Counter or Amount Field With Comma And Sign. 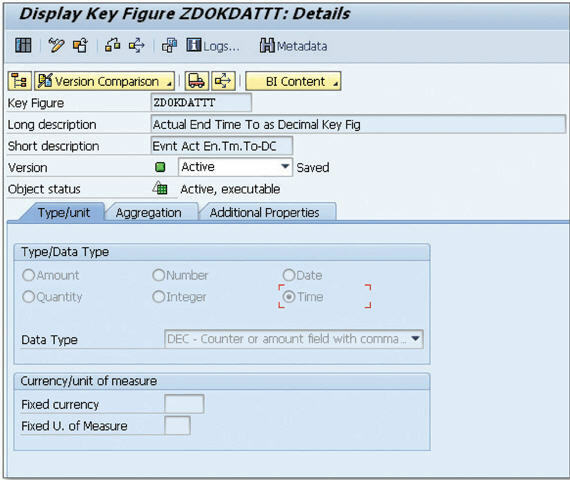 Create 2 new key figures, Actual start time from as Decimal Key Fig and Actual End Time to as Decimal Key Fig with TYPE/DATA TYPE as TIME and DATA TYPE as DEC Counter Or Amount Field With Comma and Sign. Include those new key figures in the source DSO in this scenario. Event Actual Start Date from As Decimal Key Fig to Actual Start Date From. Actual Start Time From As Decimal Key Fig to Actual Start Time From. Event Actual End Date to As Decimal Key Fig to Actual End Date To. Event Actual End Time to As Decimal Key Fig to Actual End Time To. The Date and time will be stored in DSO as numeric value format. And you can get the result like this.